The Wains Hotel Dunedin is located in an elegant, Victorian-era building situated right in the heart of Dunedin. Within walking distance of the Octagon city centre, shopping and entertainment venues and the business hub, this beautifully detailed hotel offers personalised service and stylish, boutique accommodation. World-renowned beaches, attractions and activities are just a short drive away, as well as the opportunity to explore the wider, natural Southern environment.. 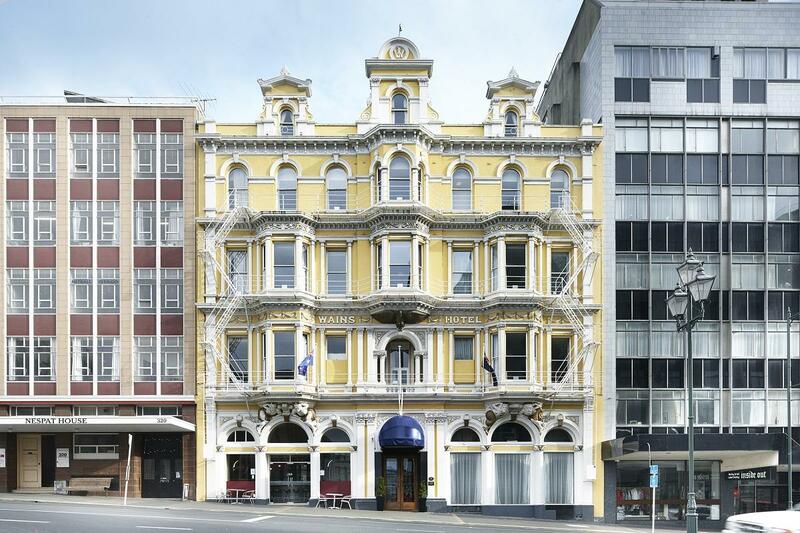 The Wains Hotel Dunedin is located in an elegant, Victorian-era building situated right in the heart of Dunedin. Within walking distance of the Octagon city . . . More . . .
Lake Ohau Lodge is ideally placed between two of the Alps 2 Ocean Cycle Trail’s scenic highlights - the shores of Lake Ohau, and Lake . . . More . . . Enjoy a sumptuous meal in a relaxed atmosphere. We have a variety of meals to suit all tastes. Lunch from 12pm-2.30pm and evening dining from 6pm. . . . More . . . Established in 1987, Whitestone is a leading New Zealand specialist cheese producer. The factory has been designed to enable visitors to view directly into the . . . More . . . The Point Cafe & Bar is located 20km from the township of Balclutha, in a small township called Kaka Point. Kaka Point is the gateway . . . More . . .